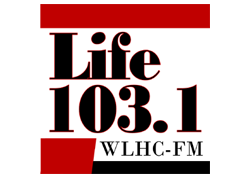 Life 103.1, one of central North Carolina’s most listened-to radio stations, offers customized marketing plans that incorporate both on-air and online components. Our top-of-the-line digital platforms allow us to harness the power of the Internet to complement our robust on-air opportunities. We would be happy to work with you and your business or organization to design a plan tailored to fit your needs and marketing objectives. If you are interested in targeting the Life 103.1 audience to extend and expand the reach of your message or brand, please contact the station manager or one of our marketing consultants below.